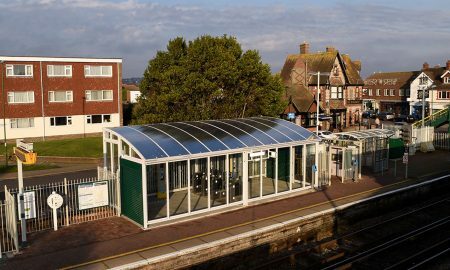 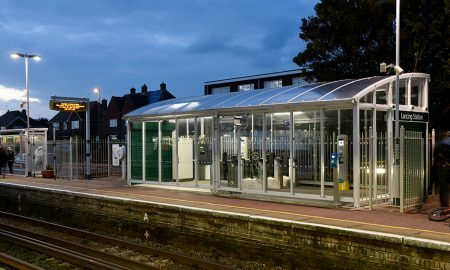 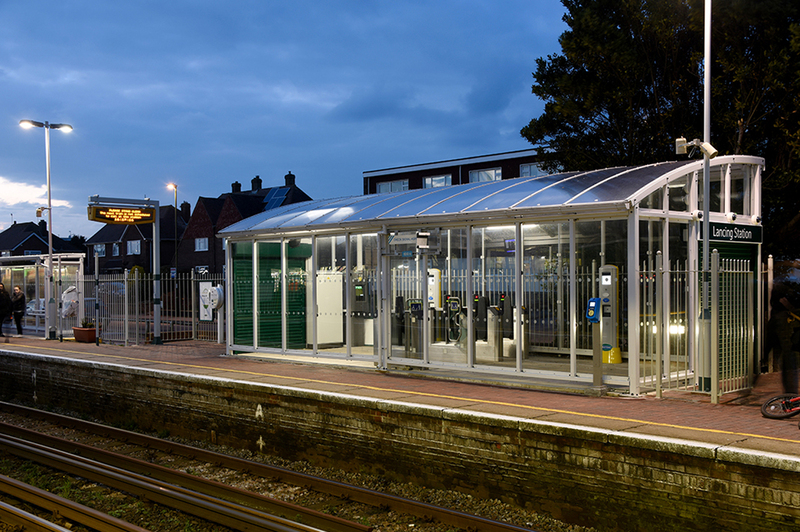 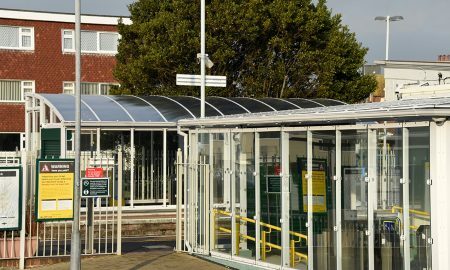 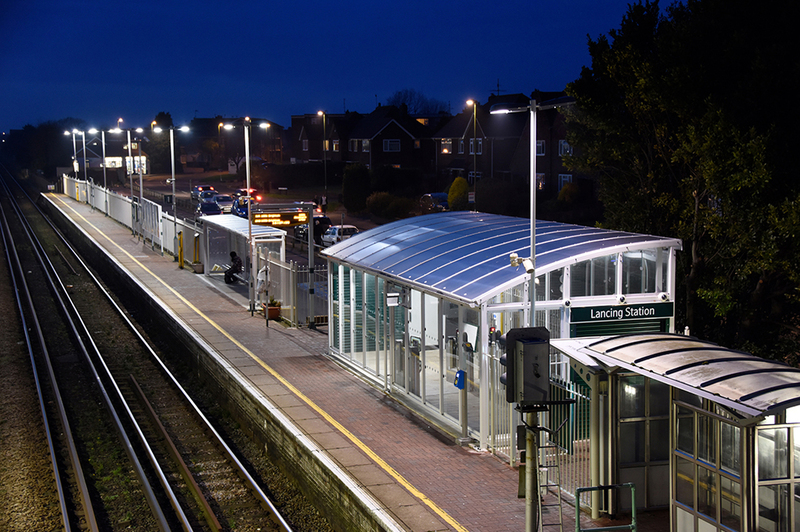 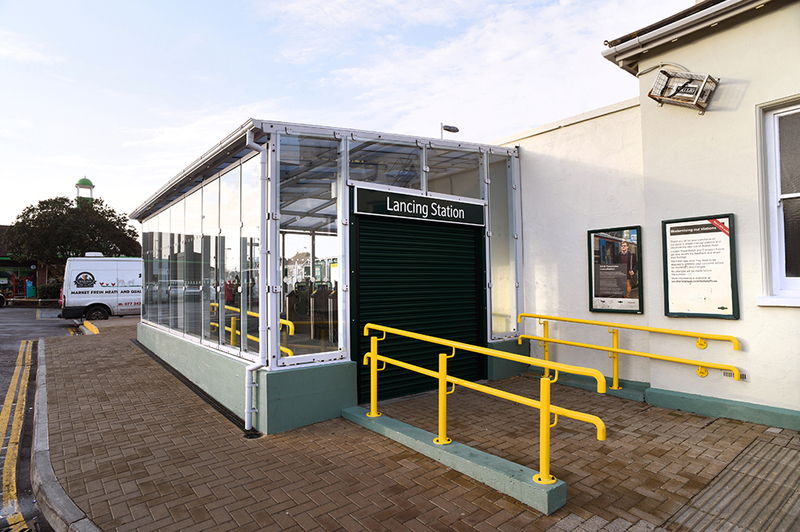 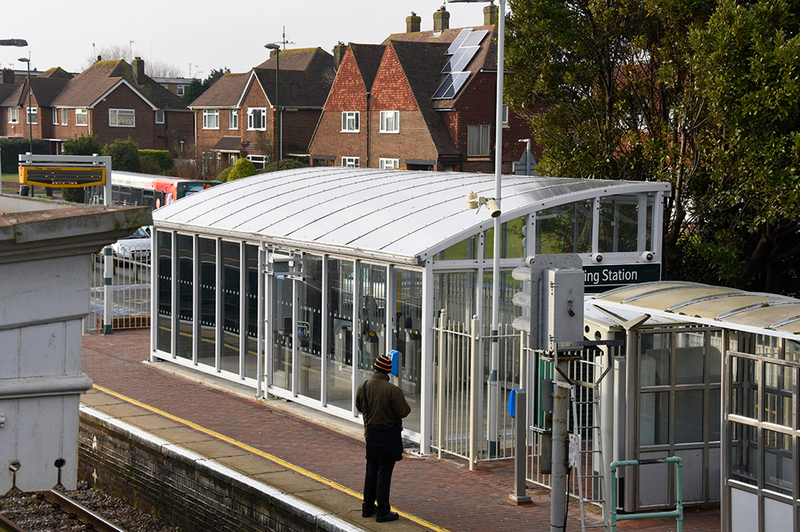 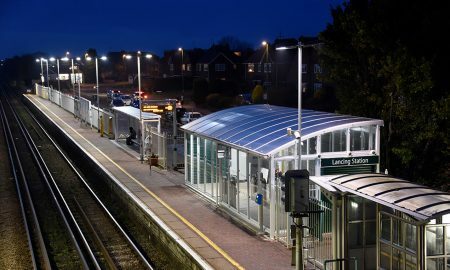 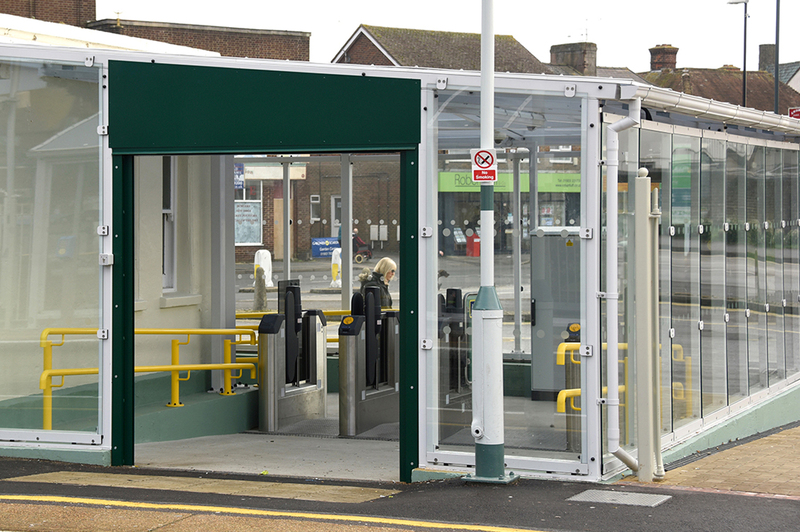 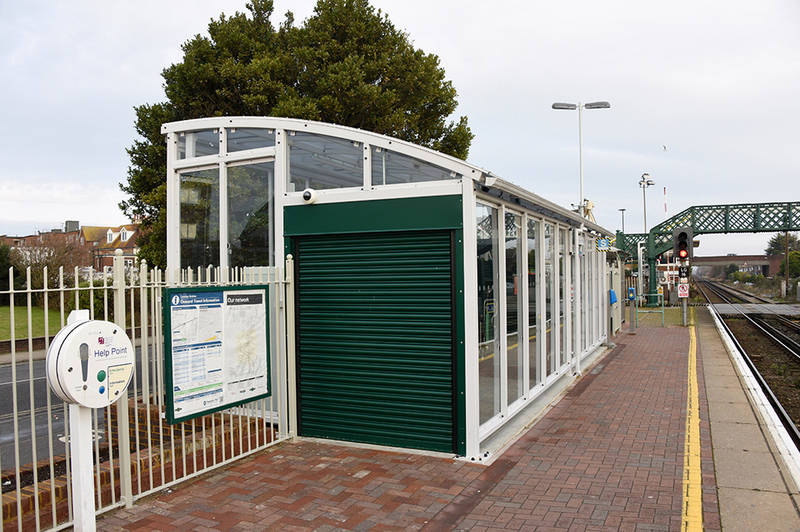 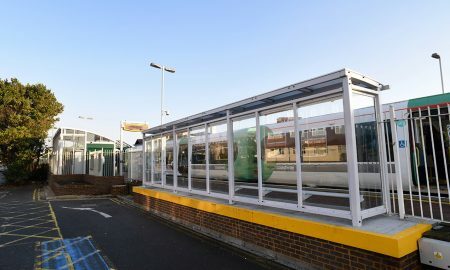 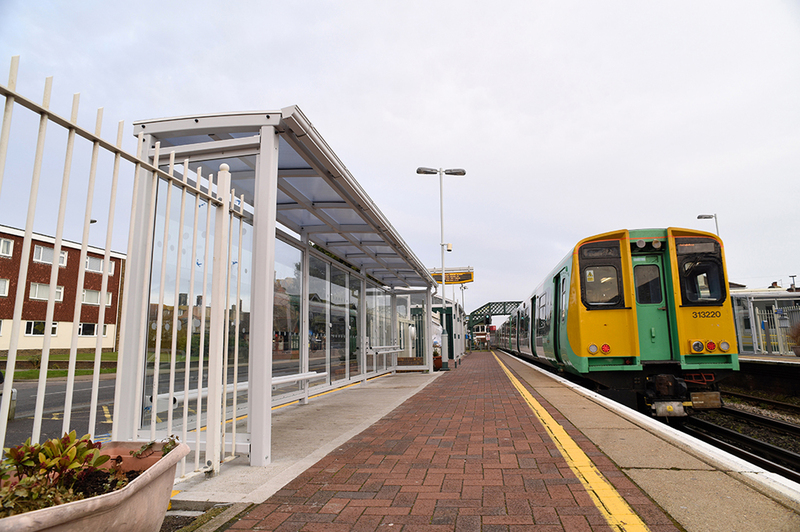 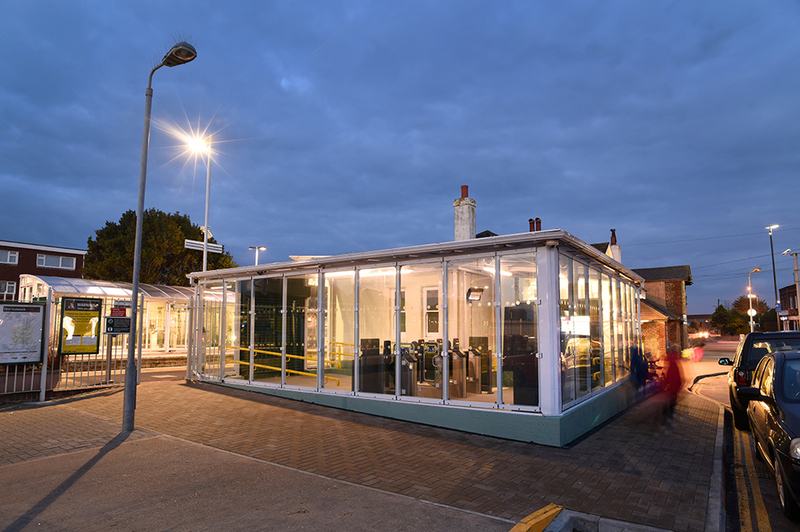 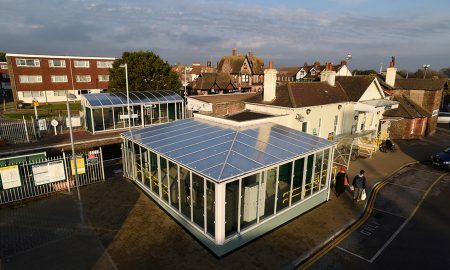 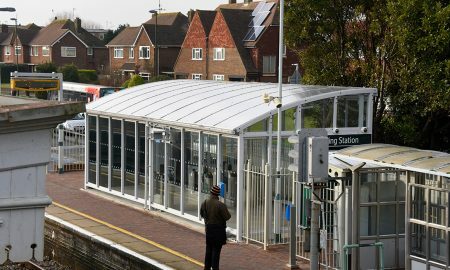 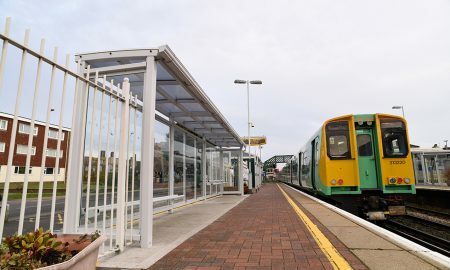 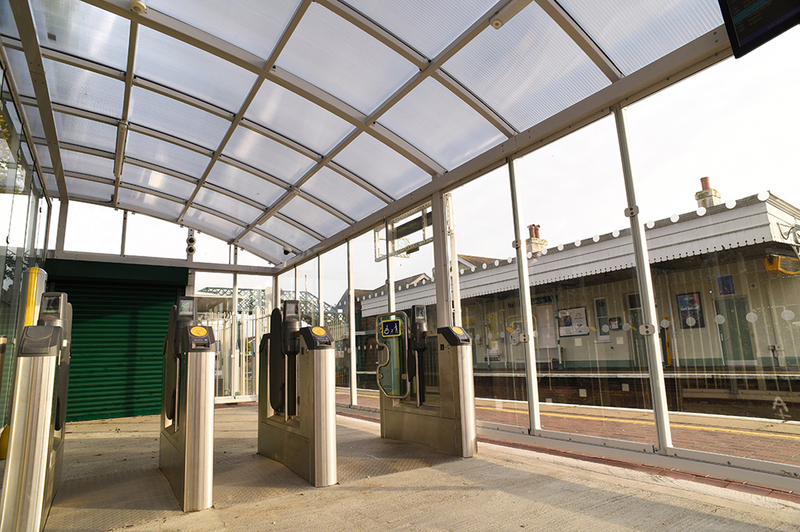 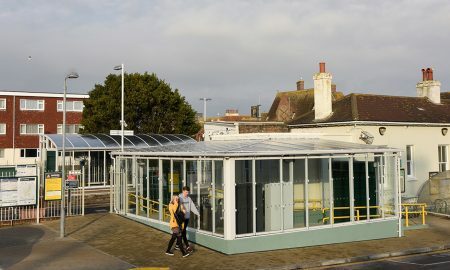 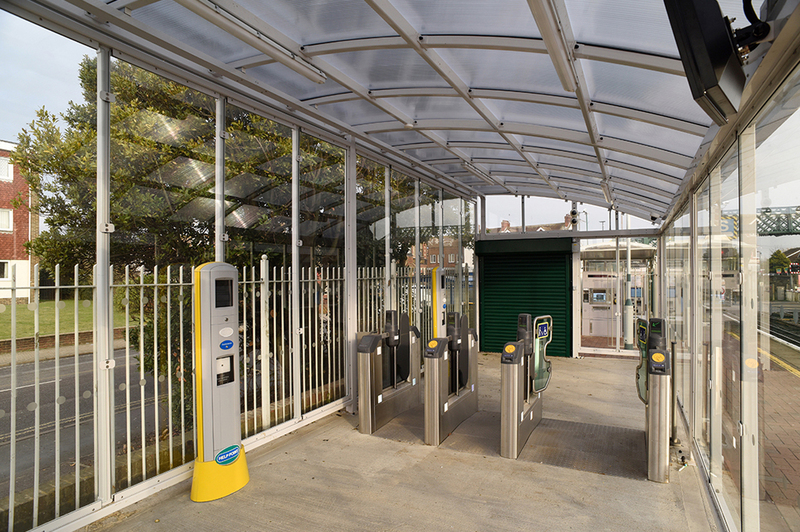 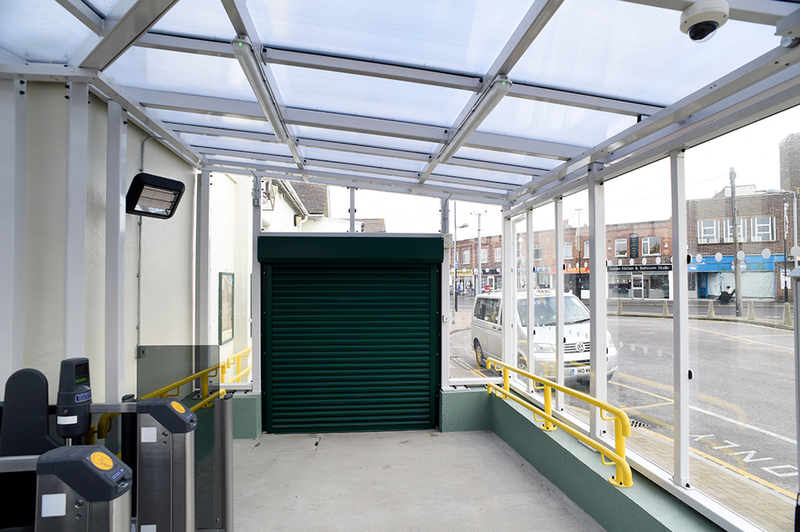 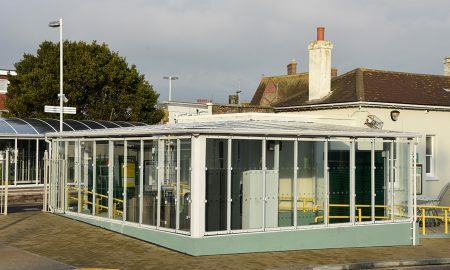 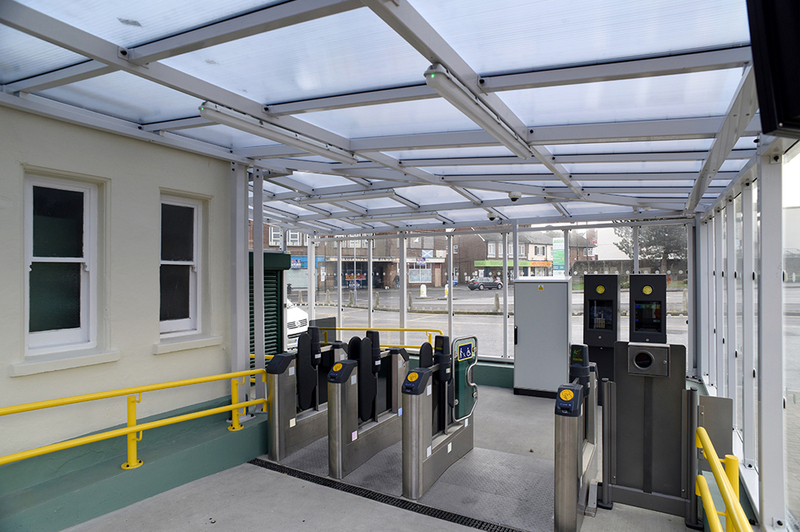 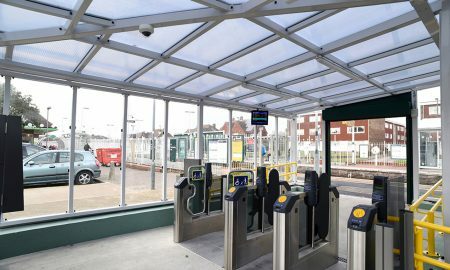 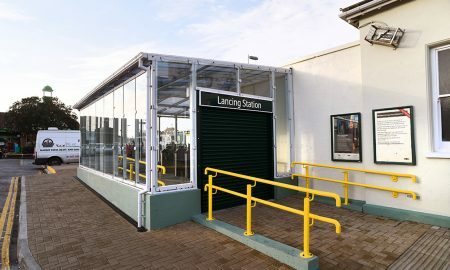 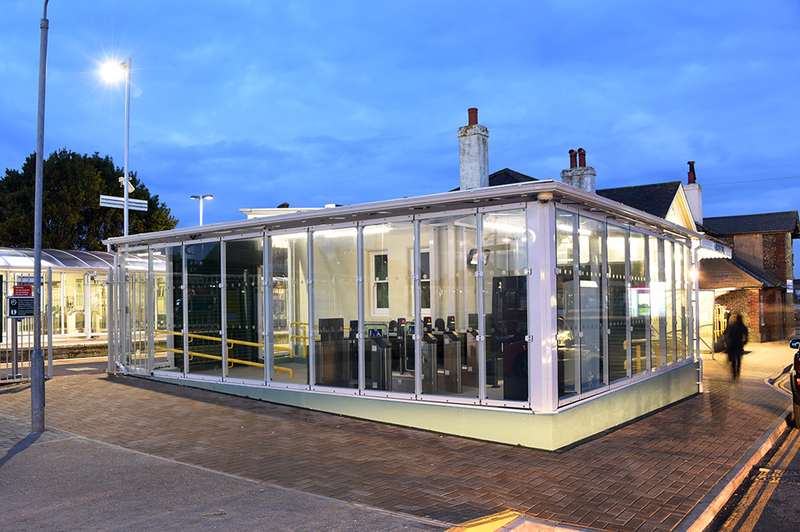 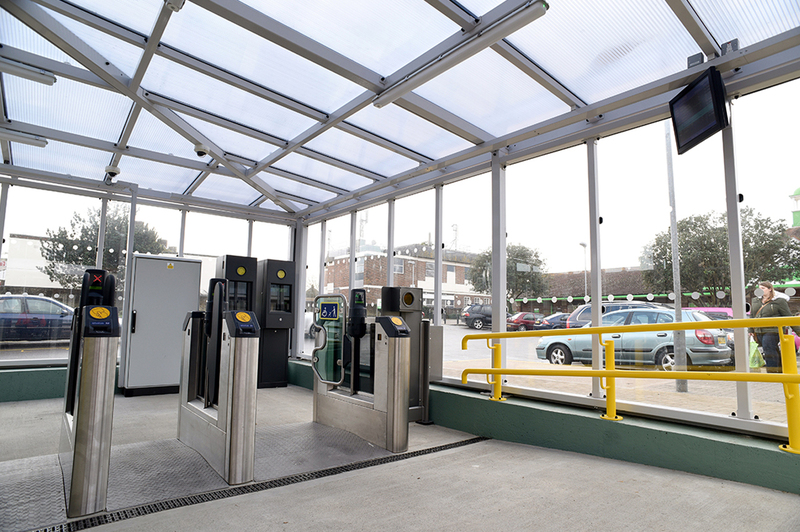 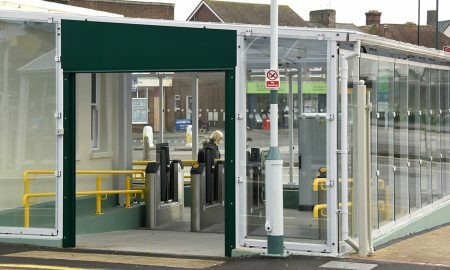 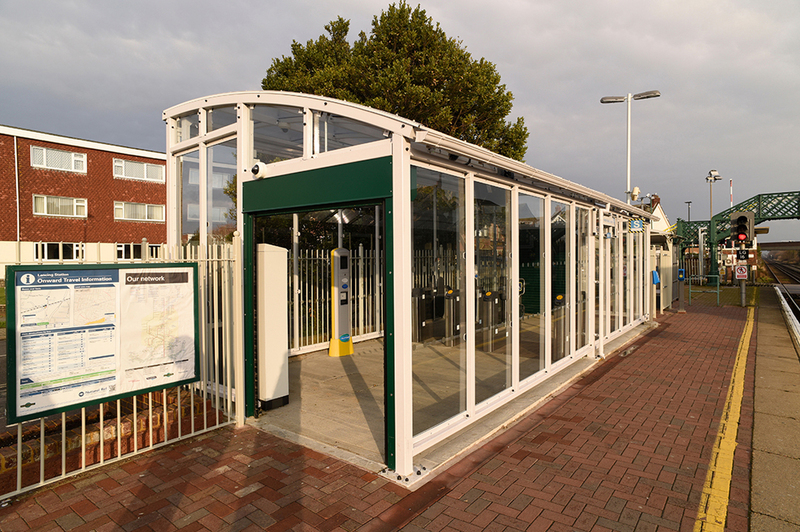 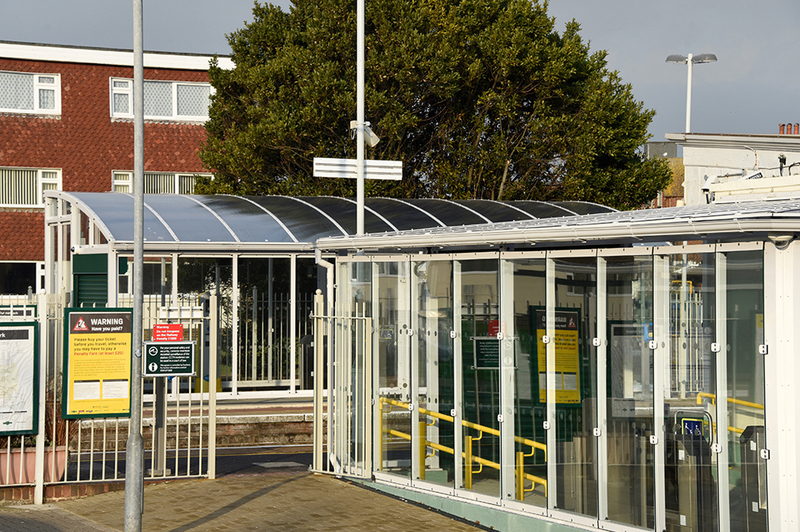 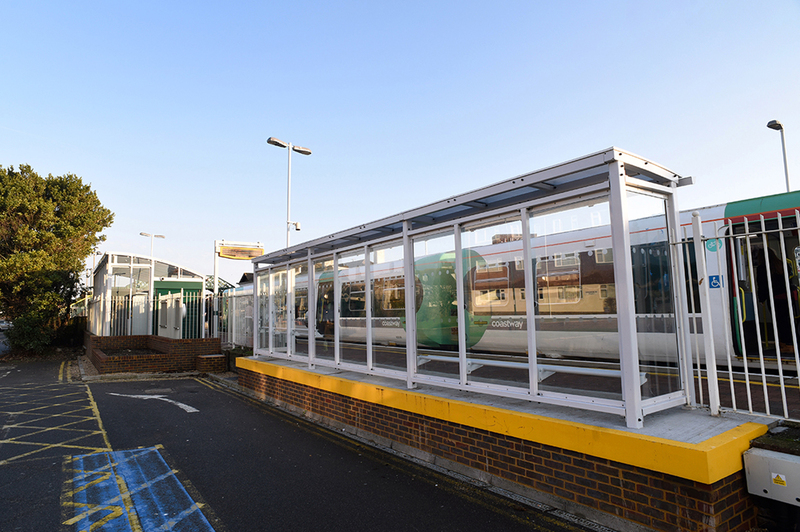 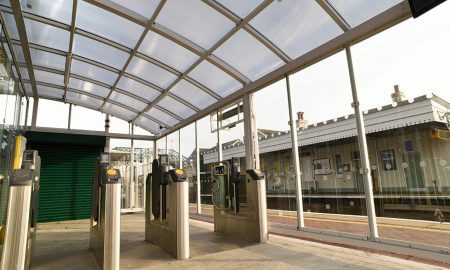 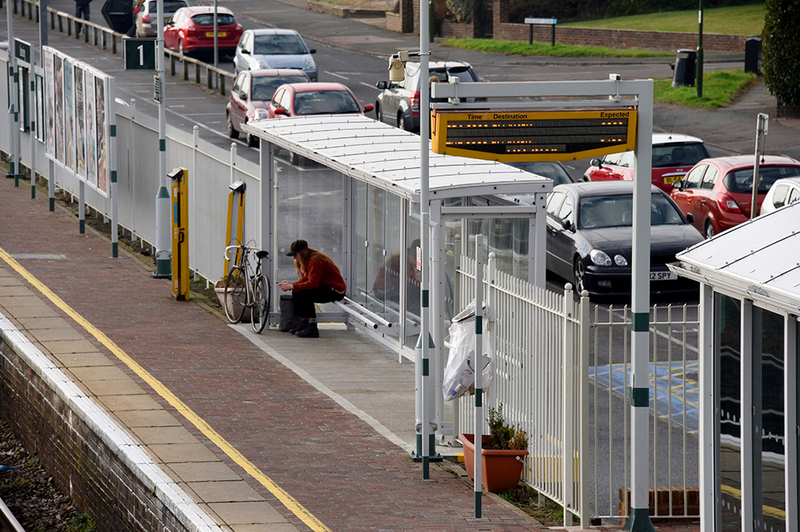 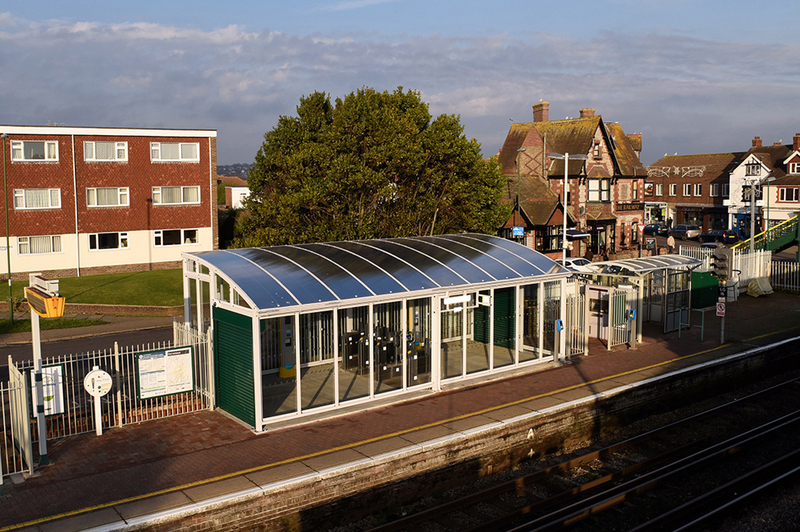 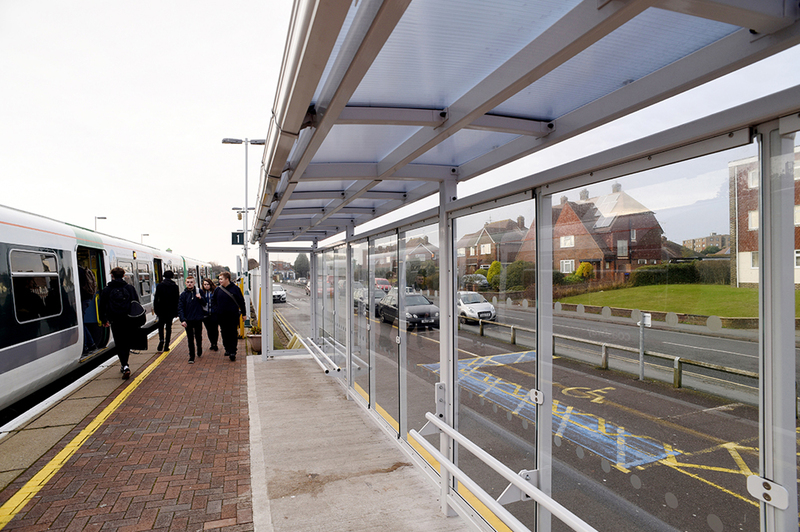 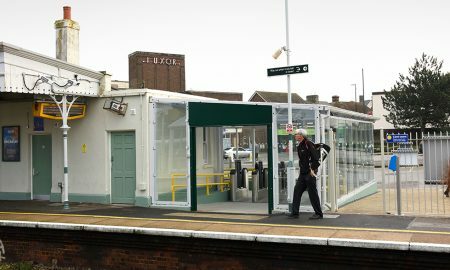 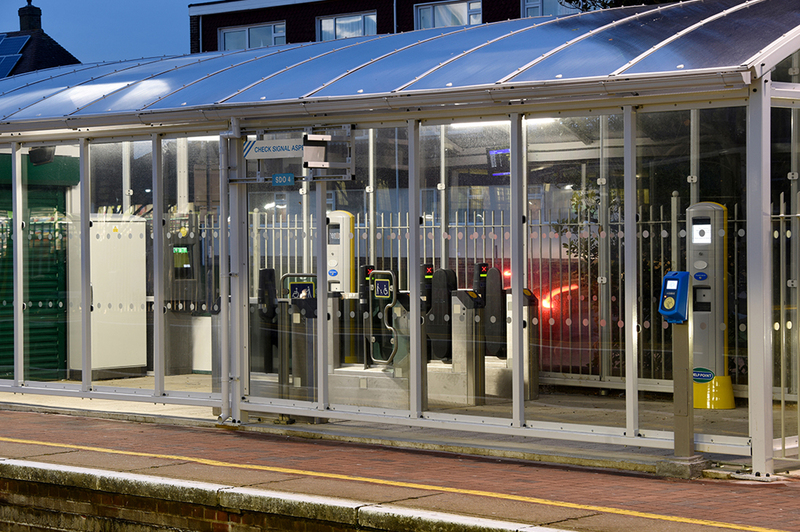 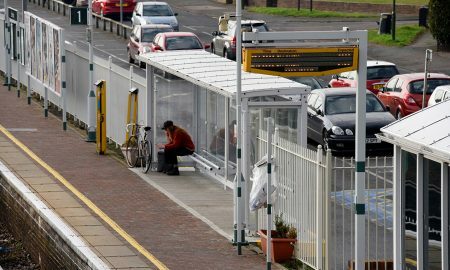 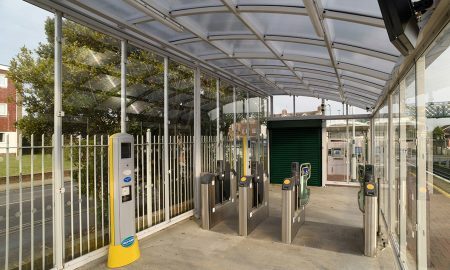 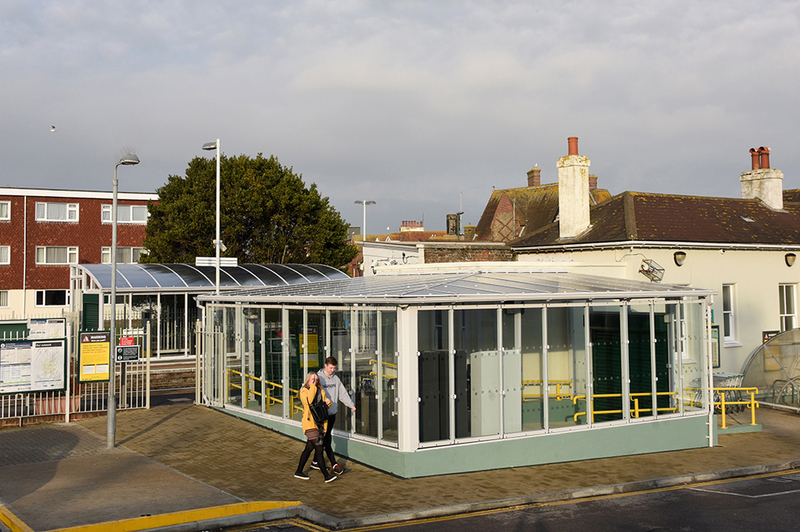 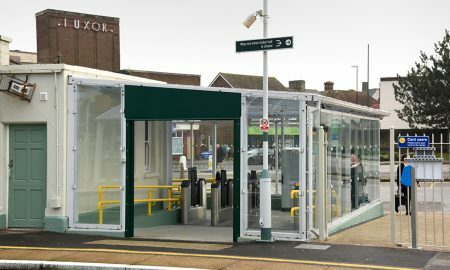 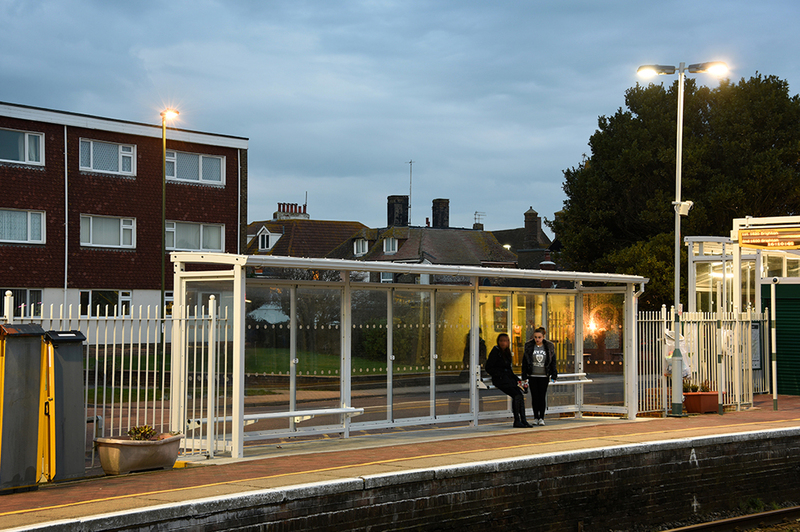 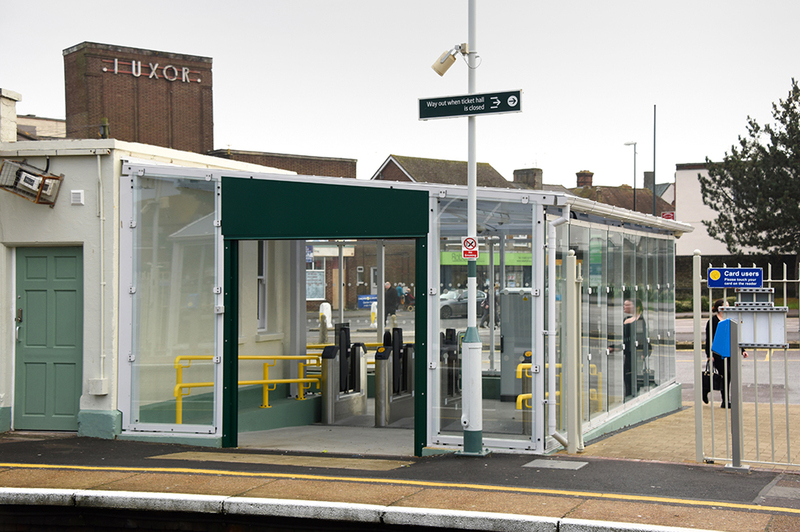 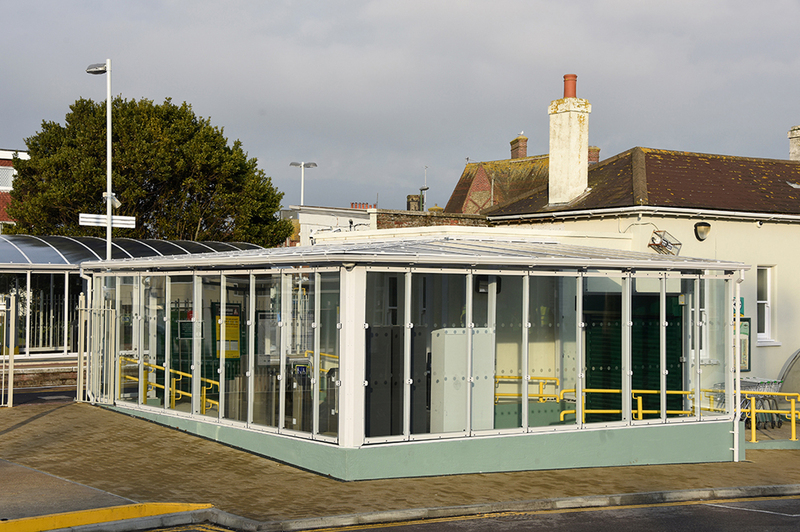 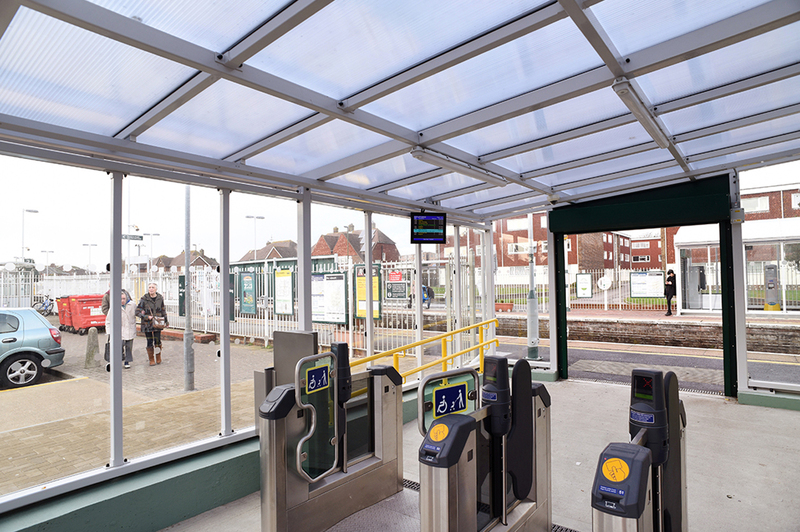 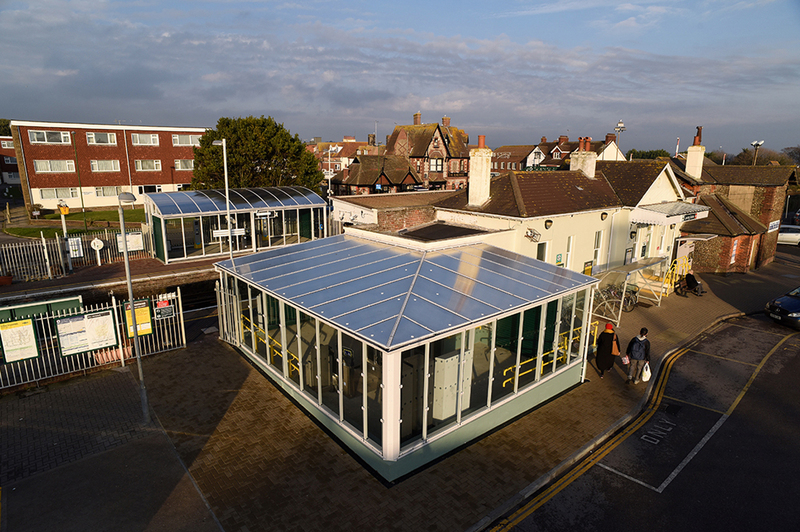 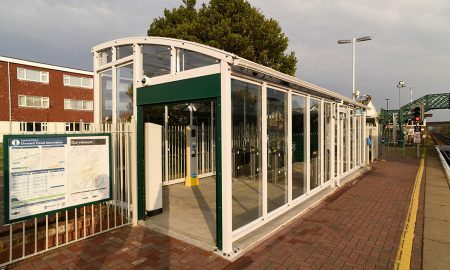 As part of Station improvements at Lancing Station by Southern Rail, Broxap won the contract to provide a series of on and off platform canopies with differing uses to improve passenger experiences at the station. 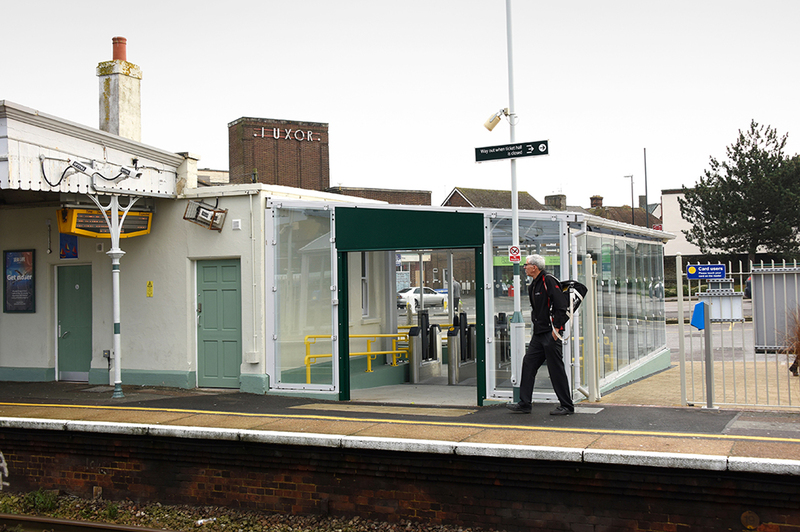 On one of the main platforms there was a requirement for a passenger waiting shelter. 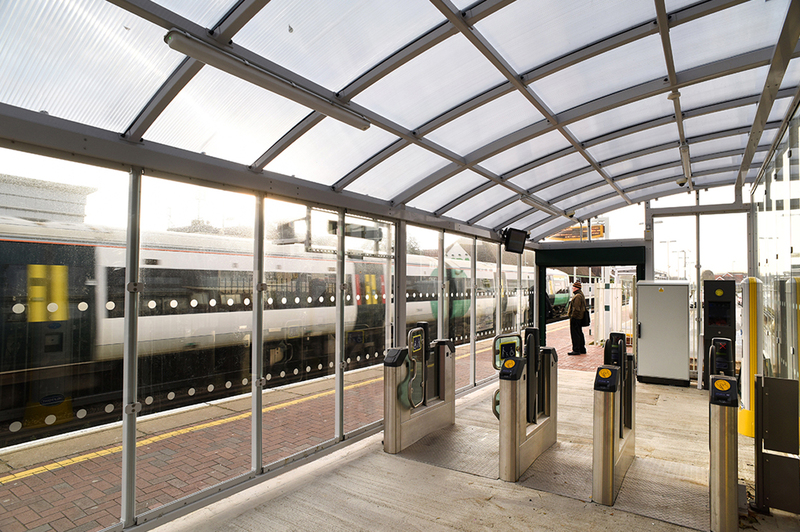 Broxap provided a bespoke option designed to suit Southern Rails requirements. 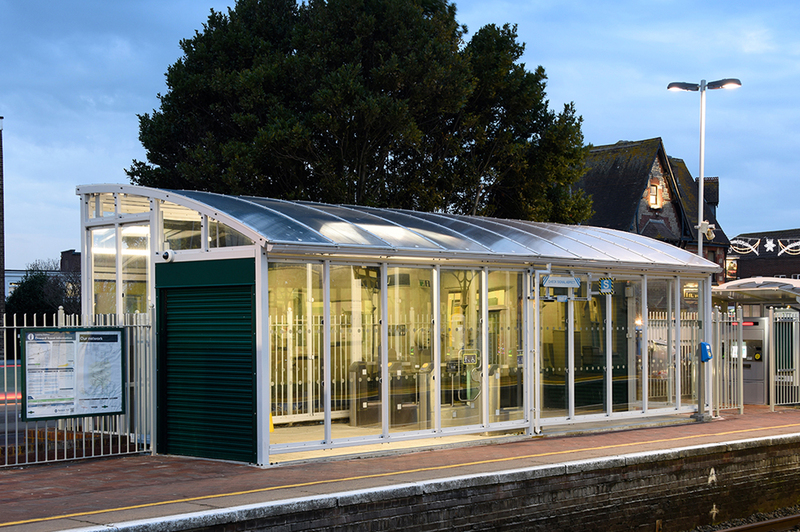 This slimline shelter featured perch seating, toughened glass rear and side panels along with a Multiwall polycarbonate roof complete with guttering and down pipes for rainwater dispersal. 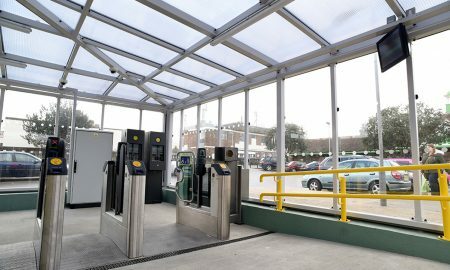 Some way along from the passenger waiting shelter and also on the opposing platform where the entrance to the station is situated Southern had a requirement for some specially designed shelters to house unmanned automatic ticket gates. 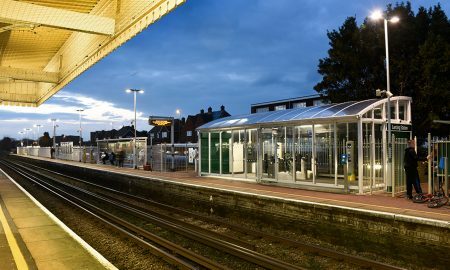 These shelters house automatic ticket turnstiles allowing passengers to pass through and purchase tickets at the gate before embarking on their journey. 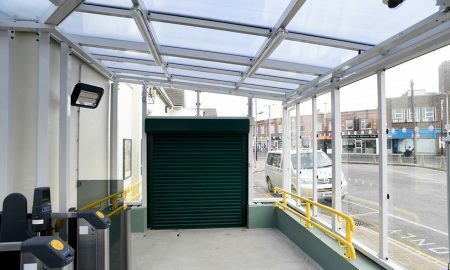 These shelters can be securely closed during none operational hours. 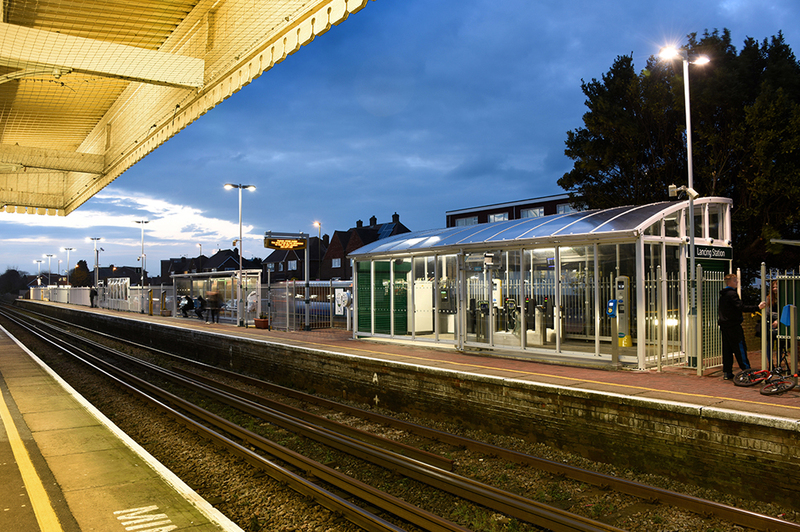 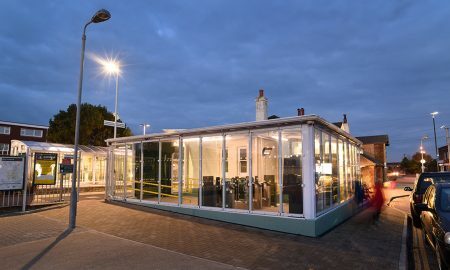 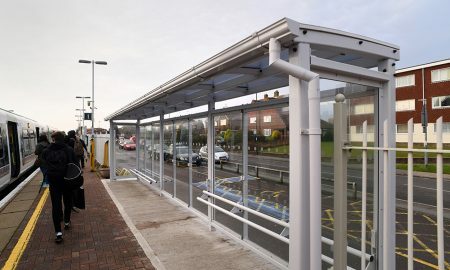 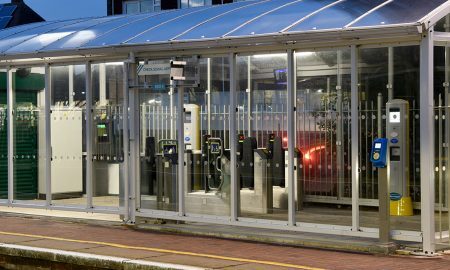 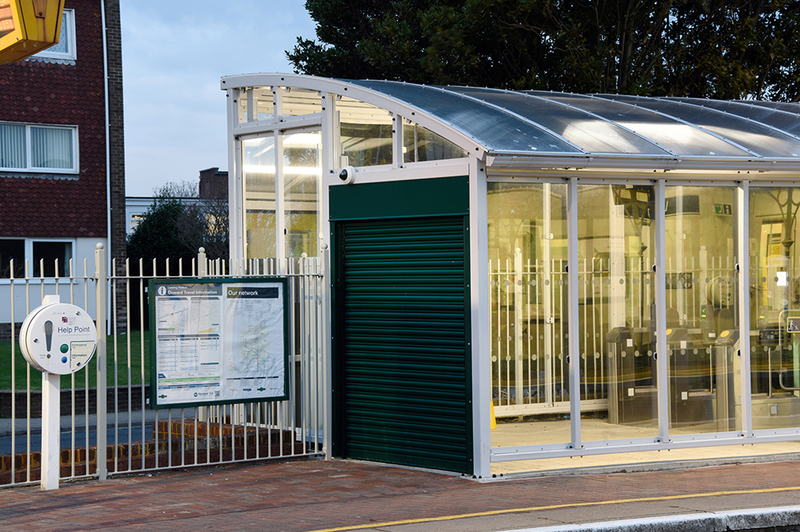 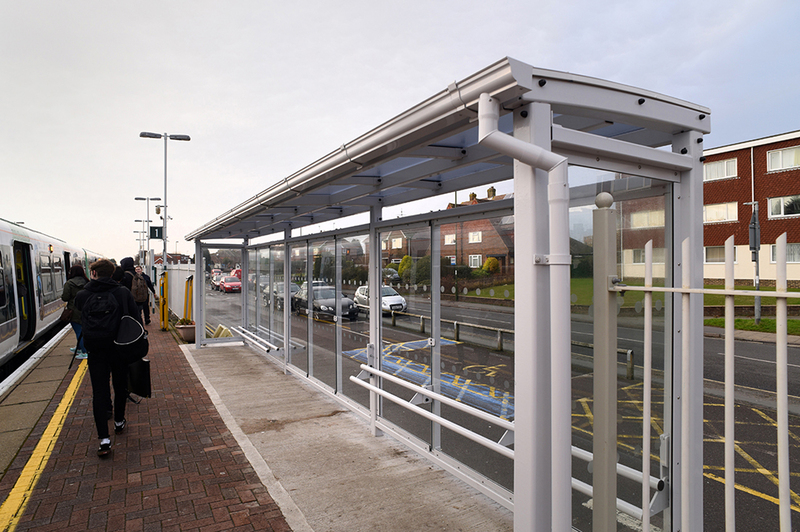 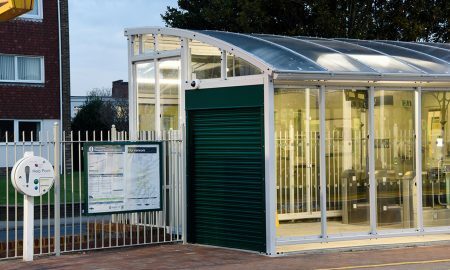 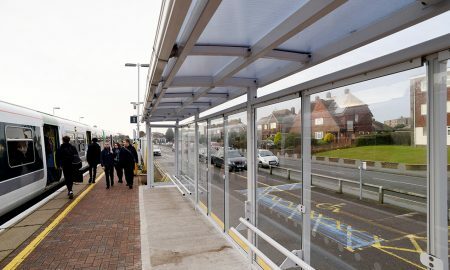 Broxap provided an asymmetric shelter on one platform clad with Multiwall Polycarbonate roof cladding and heat soaked toughened glass side panels to allow good visibility from inside and out. 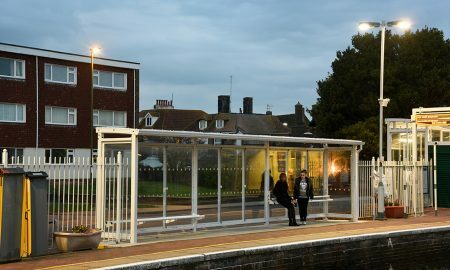 The shelter had integral LED strip lighting with PIR sensors. 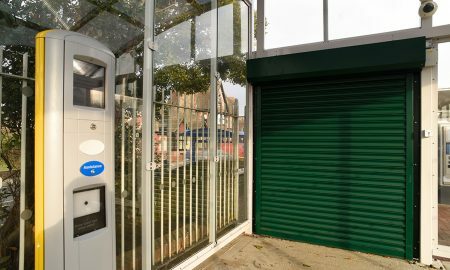 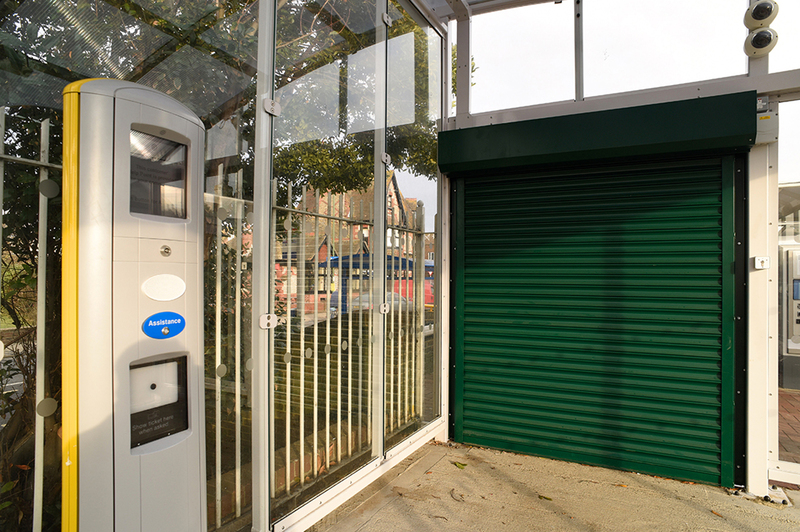 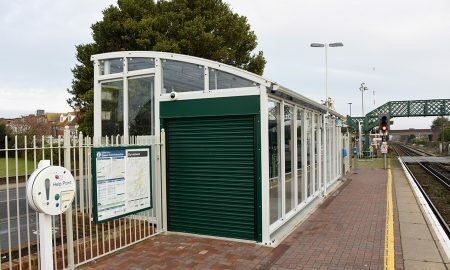 Access to the shelter was provided at both ends and at each an electrically operated roller shutter door provides security when the ticket office is closed. 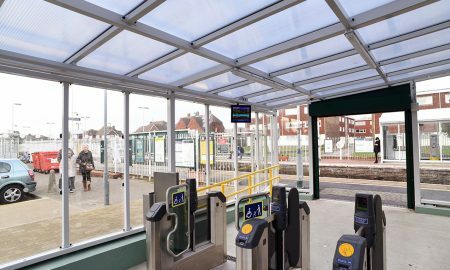 The shelter creates a self sufficient on platform automatic ticket office, train information screens are also suspended within the shelter whilst there is also CCTV coverage for added security. 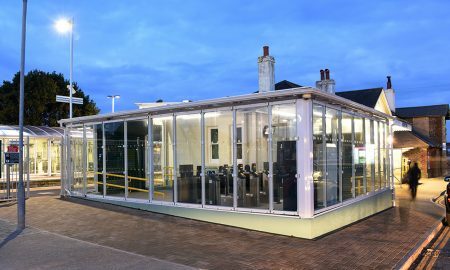 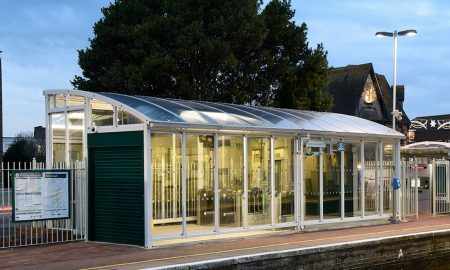 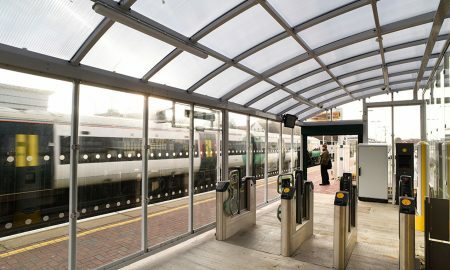 On the opposing platform next to the main station building Broxap supplied an ‘L’ shaped mono-pitch shelter, again with a roof clad in Multiwall Polycarbonate and again sides clad with heat soaked toughened glass panels, the same lighting system, CCTV and shutter door configurations were utilised. 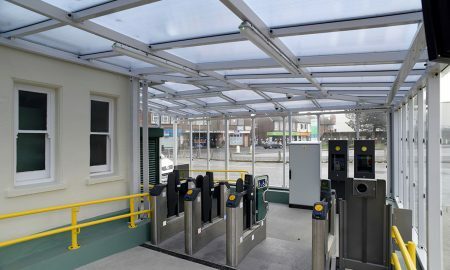 The automated ticketing systems were installed within the shelters and all elements are now operational at the station providing passengers with an enhanced experience when using the station.